The iconic Range Rover celebrates its 45th birthday this week, though who would have thought, in 1970, that a somewhat utilitarian attempt to move the Land Rover more upmarket would have resulted in one of the world’s most famous luxury brands of today? Over six million Range Rovers have rolled off the Solihull production line since that day in June 1970, with some significant achievements along the way – including being the first ever vehicle to be exhibited in the Louvre thanks to being recognised as an ‘Exemplary Work of Industrial Design’. 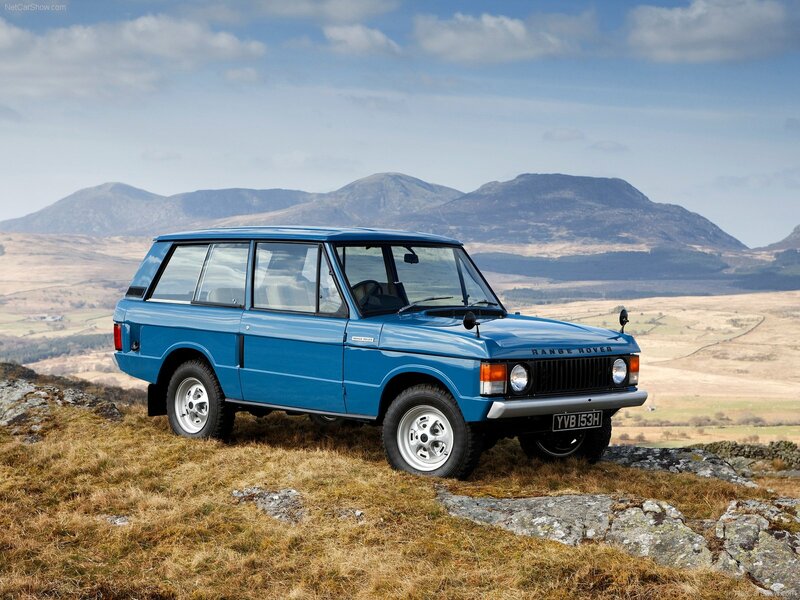 The original 1970 Range Rover was arguably the first SUV to combine car-like refinement with uncompromised all-terrain capability, and subsequent generations have got more and more luxurious but also just as adventurous. 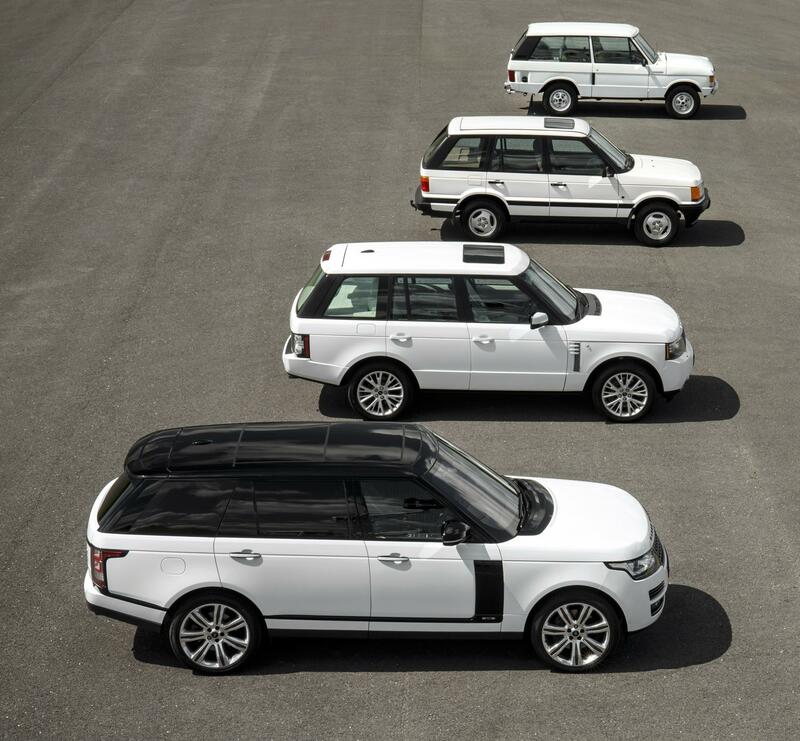 The Range Rover story began in the Sixties as Land Rover looked to revolutionise the growing 4×4 leisure market. With much of the design and engineering work completed under Spen King, Gordon Bashford and David Bache, production of the first prototype began in 1966 and the finished car was launched to critical acclaim in Cornwall, in 1970. The first-generation model, known as the Classic and originally only available as a two-door, went on sale in 1970 featuring a lightweight aluminium V8 engine, full-time four-wheel drive and all-round disc brakes. Numerous variants and upgrades were introduced during its 25-year lifespan including the addition of a four-door model in 1981 and an automatic gearbox in 1982. Innovations continued at a pace. The first diesel Range Rover arrived in 1986 and in 1989 it became the world’s first 4×4 to feature anti-lock brakes. Then in 1992 it celebrated another SUV first with the introduction of Electronic Traction Control and automatic electronic air suspension. The Range Rover’s reputation for unrivalled all-terrain capability was cemented by a number of high-profile endurance tests. In 1972 it became the first vehicle to complete an 18,000-mile Trans-America expedition, staged by the British Army, which included the perilous crossing of the Darien Gap in South America. 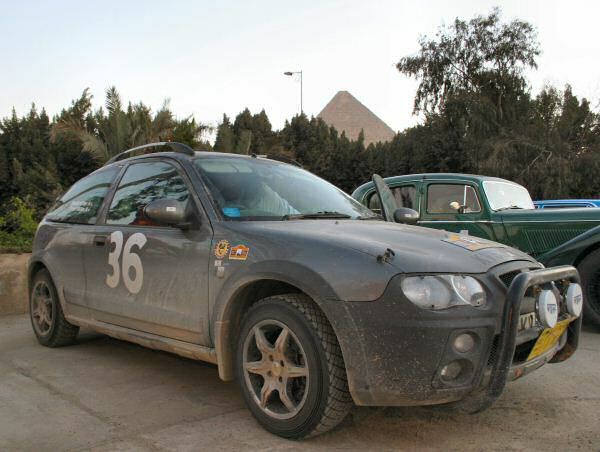 This was followed in 1974 by the successful completion of an epic 7500-mile trek across the Sahara Desert in 100 days. This reputation was enhanced with victory in the 4×4 class of the 18,750-mile London-Sydney Marathon in 1977 and by winning the inaugural Paris-Dakar Rally in 1979. Then, in 1985, the diesel-powered Range Rover ‘Bullet’ broke 27 speed records. In 1999 Land Rover created the most luxurious Range Rover yet with the Linley special edition. Inspired by furniture designer Lord Linley, only ten examples of the £100,000 model were produced. All featured black paintwork with matching black leather upholstery, deep-pile carpets and piano black interior trim. It was one of the first luxury cars to feature satellite navigation and even included a television. The arrival of the third-generation Range Rover delivered significant improvements over its predecessor in every department. Bigger and more spacious than the P38a, the interior was inspired by high-end yacht designs, fine furniture and first-class airline seating. The result was the most luxurious vehicle interior in the world. 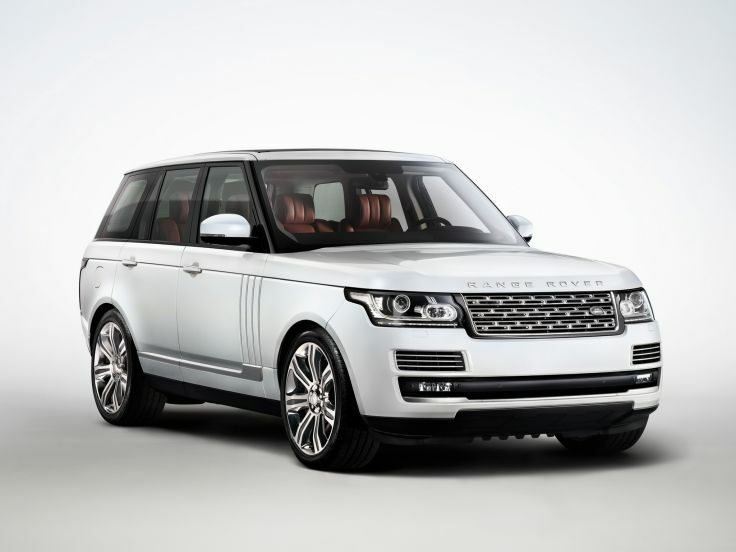 As engine technology advanced, the third-generation Range Rover line-up expanded. First came the 4.2 V8 Supercharged petrol engine in 2005, the TDV8 diesel engine in 2006, followed by all-new 5.0-litre V8 petrol engines three years later. The current fourth-generation model was launched in 2012 and was the first SUV in the world to feature a lightweight all-aluminium body, which brought enhanced efficiency to the range. plenty of ordinary cars in 1970 were noisy and unrefined as well, no? It was still the first ‘luxury’ SUV for two reasons. One, as soon as the four-door rocked up it was taken over by the horsey set, and two, have you ever been in a ’58 Series 2? Yes, I used to be taken to school in one sometimes in the late 1950s, and I really cannot remember much difference between the LR and the early RR in terms of refinement. They were both agricultural vehicles and sounded it. The RR had a purpose and fulfilled it wonderfully, but don’t let us pretend it was an XJ6 or a P5B, which seems to be what JLR are now trying to do . The RR engine was refined, but the transmission and suspension ?? To be fair, the suspension was ahead of its time, all round coil springs instead of leaf springs, self levellinv unit in the rear that adjusted height depending on weight in the back, all round disc brakes as well in fact there were no changes in suspension or braking (bar abs) on the last of the discovery 1 models. I can wholly agree with the gearbox though which is extremely noisy and agricultural. I agree about the “luxury” tag on the Mk1 – plastic seats and rubber flooring, designed to be able to be hosed out. It was a long time before it became a luxury car. It was quite a basic vehicle, early versions weren’t much better equipped than a basic Marina, but the potential was there to make the Range Rover a luxury vehicle, a wealthy following that kept the car profitable, the power and torque of the V8 and the huge interior. Thankfully the Range Rover was made more like a luxury saloon car by the early 80s and given a far better transmission just as very well equipped and cheaper Japanese rivals appeared on the market. Oh, dear, a few errors in that Press release, Land Rover. Firstly, the caption for the first generation should have read “1970 – 1996”, not 1994, as the last example was actually built on 15th February 1996. As for the second generation P38A Range Rover, there were just six examples of the Linley limited edition actually produced, not ten. There were certainly plans to make ten examples although the reality was they did not quite reach that anticipated figure. A shame this news release does not make reference to the Autobiography personalisation programme being announced in 1992 – I remember the 1992 British Motor Show display car finished in Candy Apple Lamborghini Blue with much affection – and how it enabled the greater opportunity for Range Rover owners to specify bespoke paint colour and interior trim. Particularly for the P38A generation model. Land Rover could even have tied in the mention of the 40th Anniversary with the announcement of the new 4.4-litre version of the TDV8 engine, which made its UK debut in the Autobiography Black 40th Anniversary variant. Still, it is nice that Land Rover remembered this anniversary. Interesting they don’t mention the Autobiography models. I don’t think the P38 is remembered especially fondly compared with other models in the RR timeline. 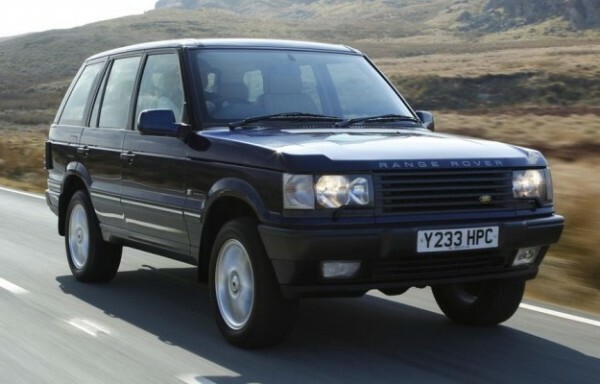 To my mind, the introduction of the Autobiography personalisation on the P38 was the start of a slippery slope towards the Range Rover becoming the car of choice for Premier League footballers and Russian gangsters, as opposed to its traditional customer base of wealthy farmers and minor aristocracy. Great potted history of a great vehicle. Amazed that it took 17 years to reach US shores, given the historic love affair across the pond for SUVs, something that has now been mirrored in the UK over the past decade or so. The mk1 still looks elegant and classy, for a vehicle originally designed in the 60s for a 1970 launch that is incredible! The “difficult second album” P38a has aged well, as has the (at the time, controversial) BMW influenced L322. L405 – is it reaching the same level of influence? There is admittedly more competition in the sector than there ever was – BMW, Merc and Audi have a range of premium badged SUVs, Bentley are planning a high end luxury SUV, even Alfa Romeo are likely to produce one. Internally too, the Discovery range has became ever more what the Range Rover ‘used’ to be, while the Sport and Evoque provide a semi-skimmed Range Rover image. Influence, perhaps not, but I see load of L405s around in London, and the Range Rover is still THE SUV to have. The L405 is in a different league to the BMW X5 and Audi Q7 competition. Those start at about £50k, and JLR would see them as Discovery competitors. The RR is up with the big boys, with the base model starting at £71k. Its competitors are the Cayenne and the forthcoming Bentley 4×4. I was also surprised it took so long for the RR to be sold in the USA, considering the engine’s origins, & cars like the Jeep Wagoneer. Not sure if they received the ex-GM V6’s while Jeep held the rights. assume because the ‘Mericans didn’t trust Rover/BL reliability back in the 1970s and 80s? A lot of the delay was attributed to the need to revise (and improve) quite a few areas of the Range Rover under Project Eagle in order to give it a reasonable chance of selling in North America. There was also the issue of finding sufficient dealers who were willing to sign up for this one model – remember that the Defender did not arrive in North America until 1993 and the Discovery from 1995. In the mid 1980s Land Rover itself was actually struggling to sell vehicles based on the immense competition it faced from Japanese rivals who successfully undercut the price of the Range Rover and offered interiors that were less spartan than the 90/110. Land Rover was of course part of the Austin Rover Group which was still trying to fulfill the rescue objectives set out in the late 1970s. As a consequence, this saw most funds being channeled into the Cars division for new products rather than updating existing carryover models. 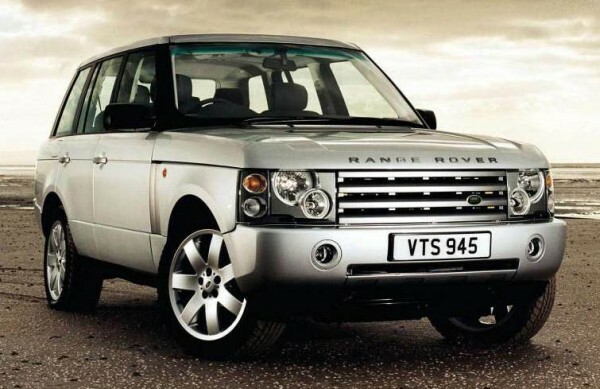 This undoubtedly had an impact on Land Rover’s desire to fully prepare the Range Rover to sell in North America. Ultimately the delay (and also the delay for the 5 door and diesel) were down to all the BL funds being used to prop up the collapsing volume car business. Sorry…..the reason the Range Rover ‘classic’ was not marketed in the US market for the bulk of it’s life was mostly due to the vehicle’s hopeless performance in US front-end impact tests. In impact, the chassis frame long members hinged rearward and upward – allowing the steering column to move rearward into the driver’s chest zone, thus failing the legal requirements of the market. This was only changed by the eventual redesign of the column mtg system, allowing the column to move upwards instead of rearwards. This was carried across to P38 and Discovery, which shared the chassis frame. Range Rover would not have been subjected to the US Front Impact test, as its not a car but a truck. This why all these chassis framed pick ups have become so popular in the US, its because they avoid the strict car legislation which is then reflected in their price. I hate to disabuse you Graham, but (at the time) the Range Rover was classed as a car by the US authorities. This was due to the vehicle mass classifications in use then. Due to my job, I was there at the time. Fair enough I accept your point. Was there some other classification criteria to mass though, as Japanese and some of the American stuff could not weighed much different to the Range Rover; such as needing a pick up body? Some of the domestic certainly could not pass crash tests I saw film from America where they were putting popular long cab pickups and SUV’s exempted from the crash tests through them, and it was not pretty. If it was weight alone it adds truth to the description of American engineering I often use “make it bigger till it works”. I thought there might be some regulations in the way. I guess they couldn’t slip the net being counted as light trucks. That’s what they eventually did – and for P38 too. Interestting fact, I can remember watching Sooty in 1977 and Harry Corbett, who was living in Dorset, owning a Range Rover. Due to a massive heart attack, his son Matthew had mostly taken over the television show, but his father, who had made Sooty into a massive brand in the sixties, was still doing the live version of the show, so probably wanted a large vehicle to haul around the stage props. Matthew Corbett only had one of those Honda light vans (at least in the series). Good article and glad the anniversary is being remembered but: “The Range Rover story began in the Sixties as Land Rover looked to revolutionise…..” There was no “Land Rover Ltd” until 1978. The company that ‘looked to revolutionise’ was The Rover Company (swallowed in to the mess of BL of course). 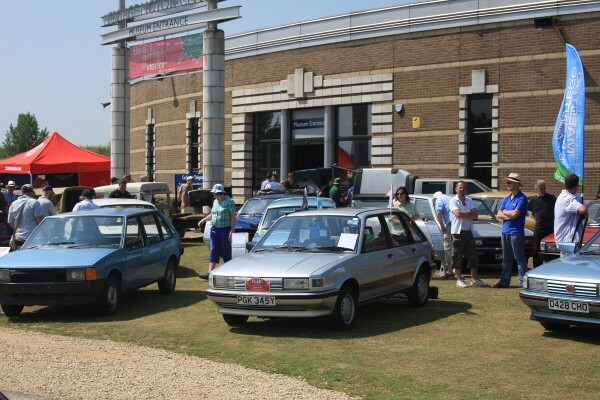 JLR do try to airbrush Rover out of their history (shame as it was one of the most innovative car companies ever – remember gas turbines anyone? ), but there you go I suppose. @ Richard 16378, selling the rights to Sooty probably changed Matthew’s life as he was typecast as the son of Harry Corbett and Sooty for all his adult life. I do believe he has returned to his roots in folk music and lives on a canal. I did read that Matthew Corbett was in Rainbow’s house band at one time. Mathew Corbett’s real name was Peter. He had to choose another stage name, as there was already another Peter Corbett registered at drama school. He kept his surname, and chose the name of Matthew. He appeared in the 1971 Doctor Who serial The Dæmons as a character called Jones and was a regular performer in the Thames Television children’s show Rainbow, where he sang and performed and wrote with Rod Burton and Jane Tucker as Rod, Matt and Jane, later better known as Rod, Jane and Freddy. In 1976 Corbett took over The Sooty Show from his father, Harry Corbett, on his retirement (he made a special guest appearance on Rainbow with Sooty in the episode “The VIP”). Matthew Corbett himself retired in 1998 after 22 years, and hand picked Richard Cadell to replace him. Funny how this thread should have gone down the Sooty route! Interesting to see how many -ve comments there are, from users, about the early RR, especially considering its current legendary status. Still a great looking car after all these years and really odd to think that my current Freelander 2 is considerably larger than the old RR in everything but height! Great to see what a success this car currently is and how many are employed in the UK designing and building these cars. Am I alone in preferring the Mk1? A good, honest workhorse. My fourth generation V8 Diesel is sublime. Was not so blingey at the front and had a bigger boot and did not have fake air vents on the doors. I think JLR should do an option of a less blingey front and plain doors for those of us who do not play football for Cheshire Utd or live in Dubai, Moscow or Shanghai. Agreed with you on the availability of a less blingey front, although isn’t there a Black Pack option for the grille as offered on other Land Rover models? I think it is possible to have the ‘side vents’ in the doors as well as that horizontal lower strip running along the body’s sides finished in the same colour as the main body colour, which might help. Perhaps such a pack featuring these two items, if not already available, could be marketed as the ‘Classic Pack’, ‘Oyster Pack’ (inspired by the codename for the first generation model) or even the ‘Modesty Pack’? No self-respecting footballer would ever choose an option pack bearing the latter suggested name! I think you refer to the Black Design Pack, which I concluded basically made it look more “Moscow Gangster” than “It’s ok we are Swedish” look I was after. 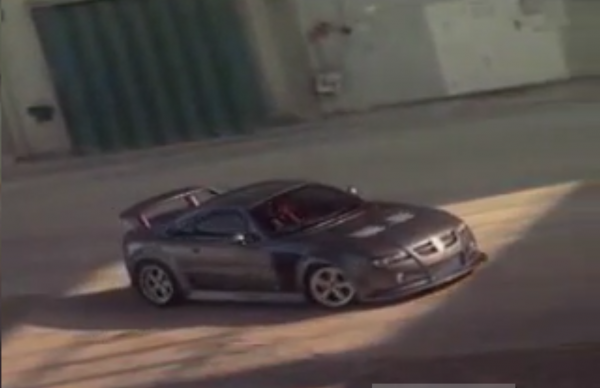 Also it makes the fake vents in the doors stand out by making them the same colour as the side stripe. Plus the switch to 21 inch wheels from 20 inch compromised the off road use it has to do in Northern Sweden too much and more importantly access to replacement tyres in the frozen north should you need them. I think a simpler grill design and plain doors should be an option, it’s the doors the really annoy me, because you can see that they have cost a lot of money in tooling and add weight and yet do absolutely nothing. However I will accept that it’s a very fortunate position to be troubled by choosing Range Rover options, not least because the car is sublime.